"31 Different Flavors of Custards and More"
Welcome to Pam’s Custard Corner conveniently located in Buffalo New York, only a mile down the road on South Park Avenue from Buffalo and Erie County Botanical Gardens, Our Lady of Victory Basilica and Arboretum South Park Lake 9-hole golf course and park. We are the perfect place to visit after taking a trip to the beautiful Botanical Gardens when you and your family want to cool off and enjoy a nice treat. 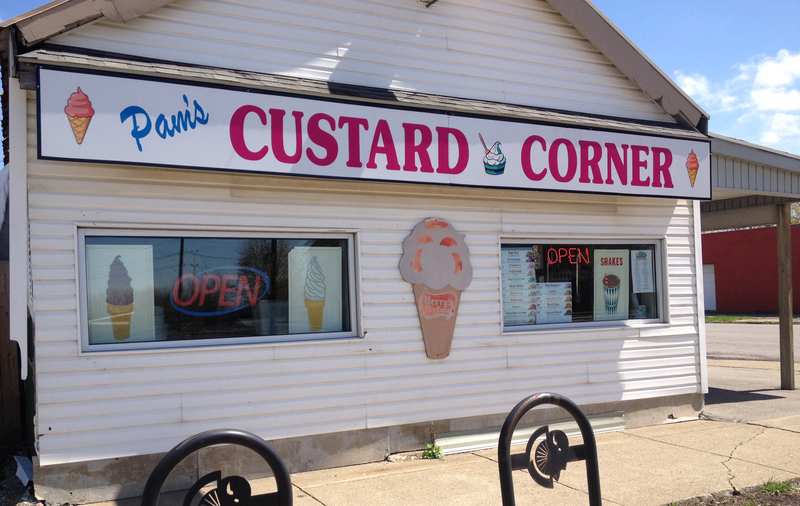 At Pam’s Custard Corner you can enjoy a variety of different treats including over 31 different flavored custards and a huge selection of Sundaes. We also serve a variety of different cones including the American Dream Cone. If you are not in the mood for custard but have a sweet tooth, try our Slushes or our Homemade Lemon (Italian) Ices and Cherry Ice. Custards is our specialty but we also carry different flavors of Perry’s Hard Ice Cream. Check our website often to see our new flavors or contact us for any further information you may need.